Each Friday that I come to this space, I think I start much the same way. Something along the lines of, “Well … it’s been QUITE the week.” Today is no exception. Day 5 of snow days (=no school days, #desperateMomsUnite), and I’ve once again witnessed the limits to my impatience as I’ve lost it many times with my 4-year-old twin daughters. Who surely would also speak of a week that’s felt long, hard, and boring. With occasional glimpses of happiness as we played in the snow and drank hot chocolate. I am praying that the snow-play and hot-chocolate memories would override the rest. And if not, well, that’s what savings is for – college or therapy, their choice. ! Welcome to another round of Five Minute Friday, where bloggers from all corners of the internet gather to feverishly tap out five minutes of free writing on a given prompt each week. If you don’t know what we’re all about, click here for more info! To close in on myself after pain or sinful anger is easier than staying open. It feels safe to curl inward, to isolate, to lock myself in the proverbial ivory tower. I am safer here. And so are they. They won’t be hurt by my rudeness, my angry words I regret moments after they fly from my mouth. Closure feels better for everyone. But open is how I’m created to live, and open is the only pathway to love. Open to others, and them to me. Open like the vast expanse of sea meeting sky horizon. 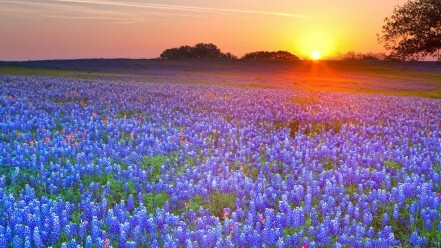 Open like a field of Texas bluebonnets in springtime. Open like the sunny sky above the clouds always there when you take a plane above the grey skies. Open like my daughters who say, “I forgive you, Mommy,” and then ask me to come play with them in the next moment. We need to be open to one another. I need you to be open to me so that I know I’m not the only one struggling amidst motherhood and writing and counseling and home-keeping and marriage. You need me to be open so that you can love me with empathy, and so that you can speak gospel words of grace and truth into my heart and story. To close inward? Well, it’s the path to depression (anger turned inward), and to isolation, and to despair, and to bitterness. It lets my mind and thoughts be unchecked. And while that may be appealing, it is never best or good in the long-run. God’s grace is that he opens our inward-turned souls, opens them to the beauty and light of redemption. And to the community of the redeemed. Hi neighbor! Visiting from FMF. What a lovely writer you are. Some of the things you said in this post reminded me of my own thoughts today. We do so need to be open to one another. That is where the miracle occur and God can do His thing :). A pleasure to read your thoughts today. So, so beautiful, Heather. Open isn’t always easy, is it? But you are so right – there is a beauty in being open before each other and before God. So glad I stopped by from FMF. Blessings to you.